Police are warning people not to leave shopping in their car after a spate of thefts. 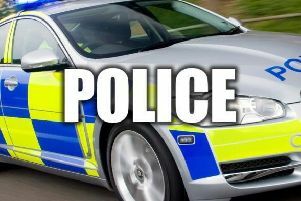 There has been an increase in reports to police in Lancaster and Morecambe of thefts from unlocked vehicles. n Never leave your shopping on display in your vehicle, always put it in the boot out of sight and make sure your vehicle is locked. n When you get home, don’t leave gifts in your car, including in the boot. n Ensure that sat navs, etc., are taken indoors when not in use. There have also been reports of thefts of vehicles whilst their owners had left them defrosting with their engines running. Remember, insurers may refuse claims of theft if your vehicle is stolen while unattended and running with the keys in the ignition.